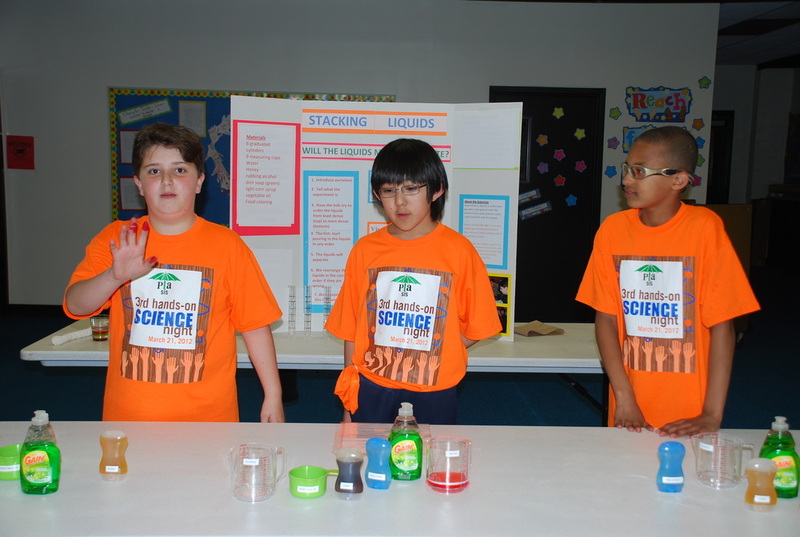 Question: Will the liquids mix or separate? 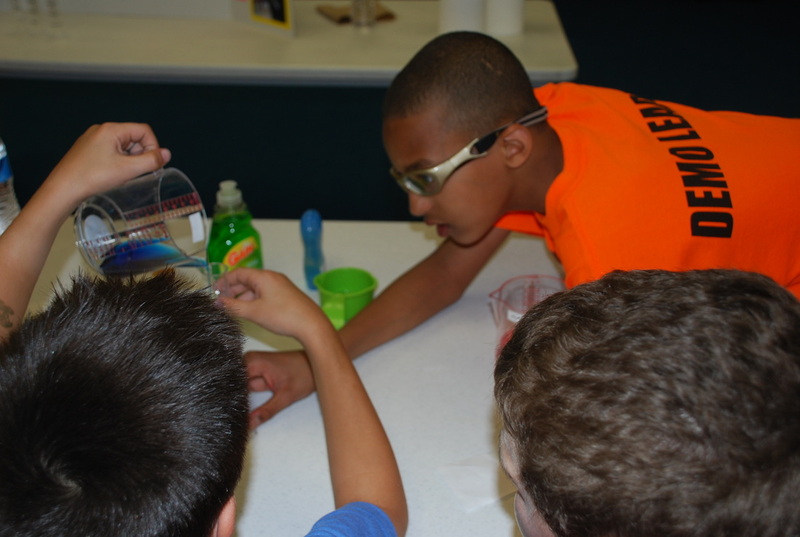 If you add liquids with different densities to a graduated cylinder, will they mix together or will they stack one on top of the other? Does the order that they are added to the cylinder effect whether they will mix or stack. Not much to worry about, just don't let the soap fall on your eyes or the alcohol get on an open wound, it will sting! 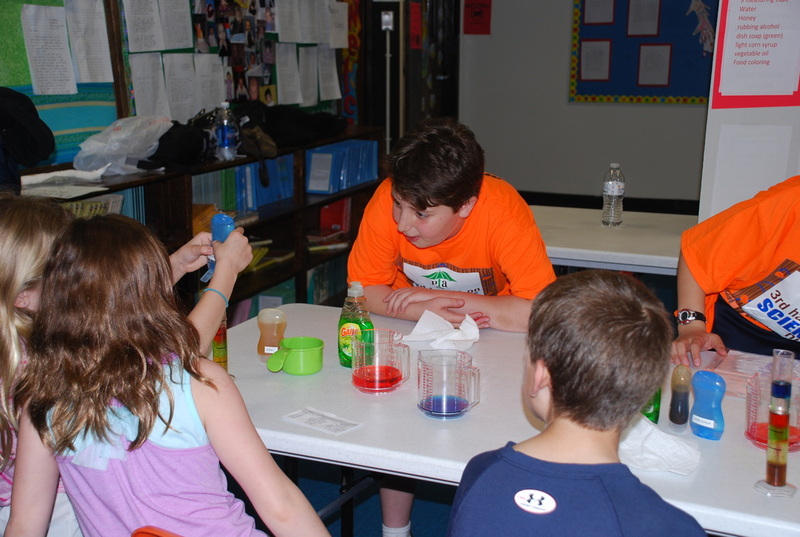 Use the food coloring to color the water and rubbing alcohol so that the liquids can be distinguished by their color. 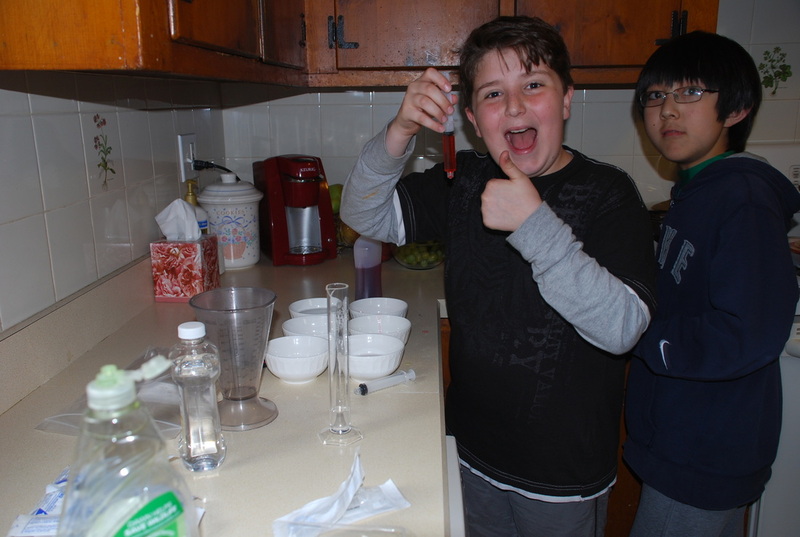 Add 5 ml of each liquid to the graduated cylinder to see if they combine or stack. Density defined in a qualitative manner as the measure of the relative “heaviness of objects with a constant volume. The liquids separate because they have different densities so the liquids that are most dense sink to the bottom and the liquids that are least dense will float to the top. 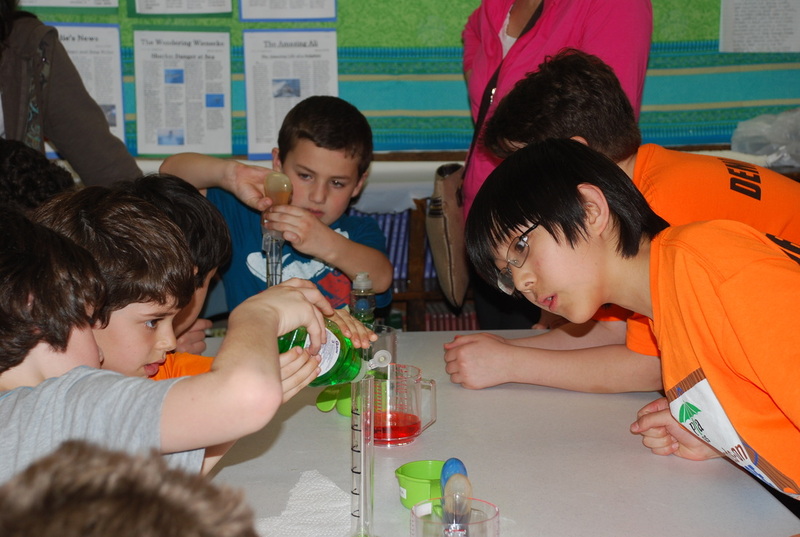 The liquids’ different densities make it possible to stack. Viscosity is a measure of a fluid’s resistance to flow. It is proportionate to the density, or mass, of the fluid. The greater the density, the greater the viscosity is. The word viscosity means a fluids ability to run. A rise in temperature increases the movement of particles in any substance. The particles in the fluid move faster, which makes energy transfer faster, which ends up making a lower viscosity (or a lower resistance to flow), and when the temperature decreases, it decreases the movement of the particles in any substance, which makes the particles move slower, which makes energy transfer slower, which ends up making a greater viscosity. Luke is 11 and is a very creative guy whose favorite food is tacos. He has two sisters and had a lot of fun with this project. Kevin is 10, and he is a very smart guy who is very good at math. His favorite food is pizza and he has a sister. He had a lot of fun with this project too. Derek is age 10, he is a guy who loves history and science. His favorite dish is linguini carbonara. He thanks you for checking out the project.